The Prince of Wales and The Duchess of Cornwall arrived in Rome today for a meeting with His Holiness Pope Francis at the Vatican. Before being received by Pope Francis in the Holy See, Their Royal Highnesses visited the British School at Rome, which was founded in 1901 as a centre for academic study. After being greeted by the school’s Director, Professor Christopher Smith, The Prince and The Duchess were given a brief tour of the building designed by renowned architect Sir Edwin Lutyens. The Prince of Wales then visited the Venerable English College with the Archbishop of Westminster, Cardinal Nichols. The site was founded as a hostel for pilgrims in 1362, and is now a college for the training of Catholic priests from the UK. 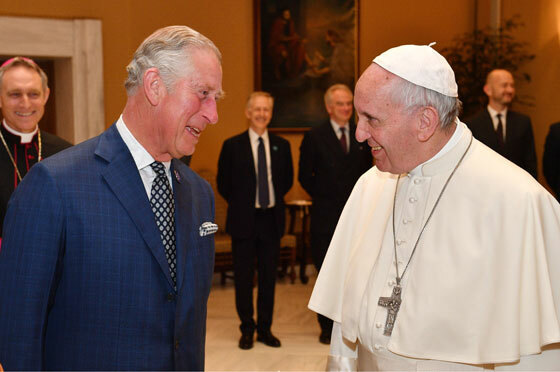 At the Vatican, The Prince joined a meeting on climate change at the Pontifical Council for Inter-Religious Dialogue, before undertaking a tour of the Vatican Library and Secret Archives with The Duchess of Cornwall. 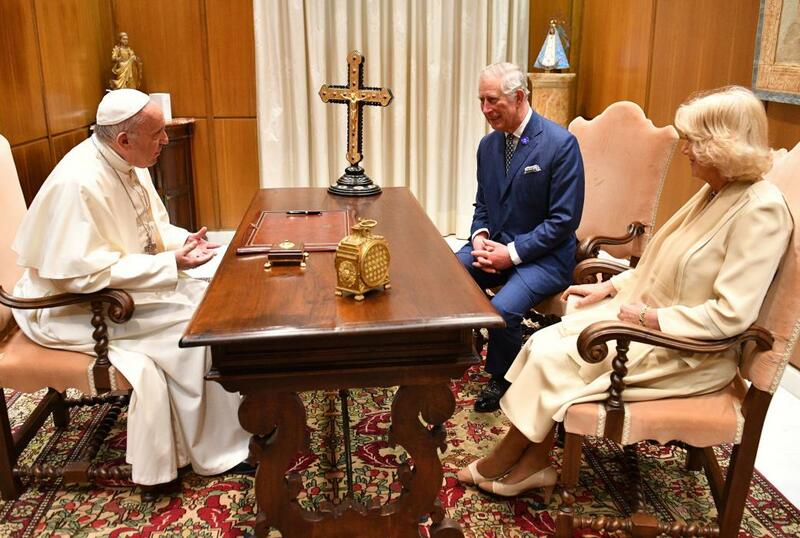 Their Royal Highnesses were then received by His Holiness Pope Francis. The last time Their Royal Highnesses travelled to the Holy See - the jurisdiction of the Catholic Church in Rome - to meet the Pope was in 2009.